Technology — TRI-AD｜Toyota Research Institute - Advanced Development, Inc.
Toyota Research Institute - Advanced Development, Inc. The future promises widespread deployment of self-driving technology. A wide variety of vehicles will share the road, from partially-autonomous personal vehicles to fully-automated long-haul trucks. Revolutionary UI/UX technologies will enable practical and intuitive interaction, unified across all vehicle types and automation levels. Toyota has been researching and developing automated driving technologies since the 1980s. Our focus: ensure that the self-driving revolution is put into the service of people. We aim to realize full freedom of movement for all, and the complete elimination of traffic casualties. Here’s how we will get there. 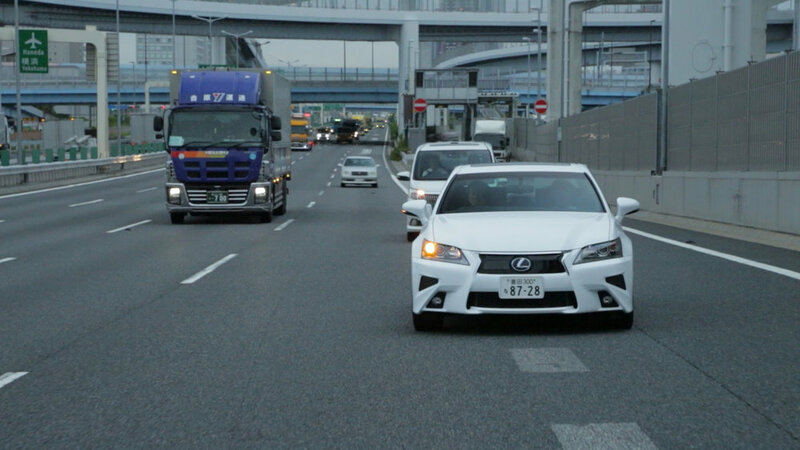 With Highway Teammate (HT), Toyota Research Institute-Advanced Development, Inc. (TRI-AD) will deploy self-driving technologies to improve safety in the here and now. HT enables complete automated driving on highways, from on-ramp to off-ramp. This includes merging onto highways, maintaining safe inter-vehicle distances, changing lanes, and taking exits. TRI-AD will launch products based on Highway Teammate in 2020. How it works. The design of HT follows the self-driving philosophy of TRI-AD. At the core is the relationship between people and cars: close trustworthy friends who watch out for each other, always ready to help out. In typical operation, the driver engages automated driving mode after entering a highway on-ramp. HT is prepared, having already pinpointed its position using highly accurate road map data. It automatically selects appropriate routes and lanes, and safely operates steering, acceleration, and braking. Meanwhile, the vehicle sensor array supplies a continuous stream of data inputs, enabling HT to recognize nearby vehicles and hazards, and safely adapt to their presence. At the appropriate time, a smooth handoff process ensures the driver is fully focused and ready to continue the journey. TRI-AD’s Toyota Guardian™ technology will be the next level of safe, reliable driving. Invisibly and unobtrusively, Toyota Guardian will observe the road conditions and your reactions, throughout the entire journey. Its goal: to keep you safe, and to unify car with driver. Toyota Guardian will act with subtle nuance, improving your situational awareness and sharpening your driving skills. With every trip, the connection between you and your car becomes stronger. Meanwhile, you can be confident that you and your loved ones will get home safely. How it works. The Toyota Guardian algorithm will leverage the power of Toyota’s worldwide sensor data network. It is planned to be trained and updated on an endless stream of simulated and real-world driving scenarios. Armed with this active, living memory and the advanced sensor array of your Toyota vehicle, Toyota Guardian rapidly recognizes scenarios and matches them to a set of optimal driving parameters. It also continuously prepares for the unexpected by maintaining “exit strategies” and monitoring driver drowsiness. Throughout the drive, Toyota Guardian’s intuitive interface keeps you informed and focused, improving skill and awareness. Toyota Guardian will also extend the driver’s vision by illuminating obstacles in their path. In the image on the right, the motion of one pedestrian makes it likely they will cross into the path of the vehicle. Toyota Guardian both alerts the driver through clear visual and audio cues, and also calculates the safest path to avoid an accident. Expanding awareness is one way Toyota Guardian creates a partnership with the driver. Chauffeur is TRI-AD’s fully-automated driving system. It combines Toyota’s renowned reliability and craftsmanship with the exciting possibilities of self-driving. It is a bridge from the here-and-now to the ultimate future: the completely autonomous, perfectly safe vehicle. When Chauffeur takes complete responsibility for all driving tasks, you can relax. Use this newfound time as you like. Work on the go, chat with loved ones, play your favorite game. All in complete safety. At the end of the journey, you will arrive refreshed and ready to go. How it works. Chauffeur will be designed with state-of-the-art reliable software engineering practices. It will be trained with advanced machine learning algorithms, on data collected over millions of miles of roads across the entire world. The result: an automated driving system with the unerring precision of an airliner autopilot, equipped with the combined experience and wisdom gained from every mile driven by the entire fleet of Toyota vehicles. Rest easy, this ultimate driver will know exactly how to handle every conceivable situation on the road ahead. The automated driving revolution demands a dramatic rethinking of the user experience. A few buttons and a screen will not suffice in the age of self-driving. They must give way to a wide range of powerful new interfaces and experiences, adapted to the user for every manner of partially- and fully-automated vehicle of the future. The Toyota Design System (TDS) is a global unified approach to creating a complete range of user experiences with a common design language. Imagine the possibilities. A racing interface in a Guardian-equipped rally car delivers road, race, and car data rapidly and succinctly, with minimal distractions. In a mobile office driven by Chauffeur, a personalized interface enables a seamless workflow, maximizing productivity and efficiency. A long-distance Chauffeur-equipped taxi offers a thrilling entertainment system equipped with wraparound screens and the latest games — or a quiet, calming ride with all of your favorite personalized settings. All done with a common design language you know and love. How it works. A TDS driving interface will augment the user’s car interior with both physical and UI-based modalities. Our intuitive, signature style will ensure you can quickly find your way around any Toyota. The interface will vary naturally according to the car model and function: functional and utilitarian in a pickup truck, ergonomic and elegant in a luxury sedan. At the same time, all aspects of the experience will be personalized to you, the user. A smartphone app maintains all your preferences, and ensures instant customization the moment you enter any Toyota vehicle.